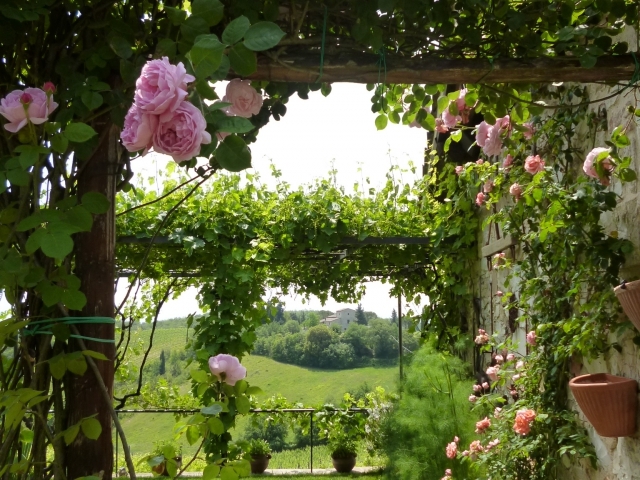 The building was restored by Julia and has been published on several magazines: it shows all the charm of a country home with private courtyard and garden in an old village of the Chianti region. 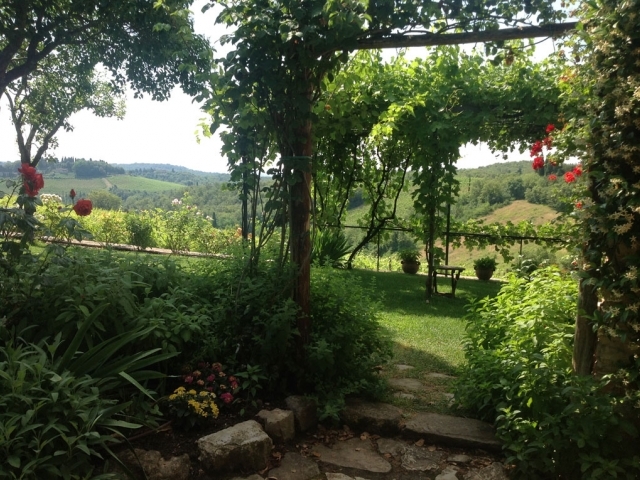 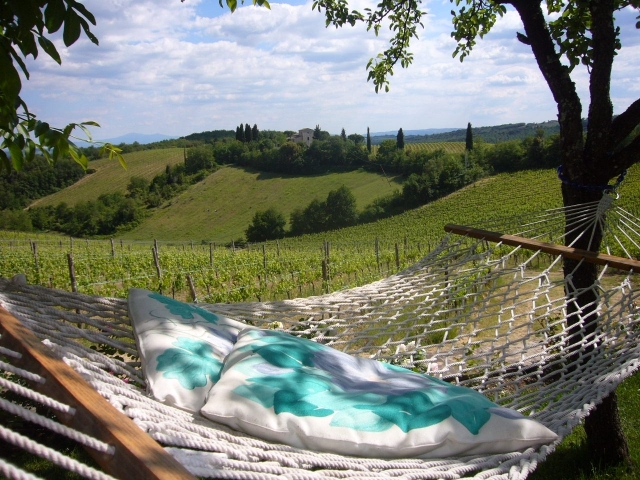 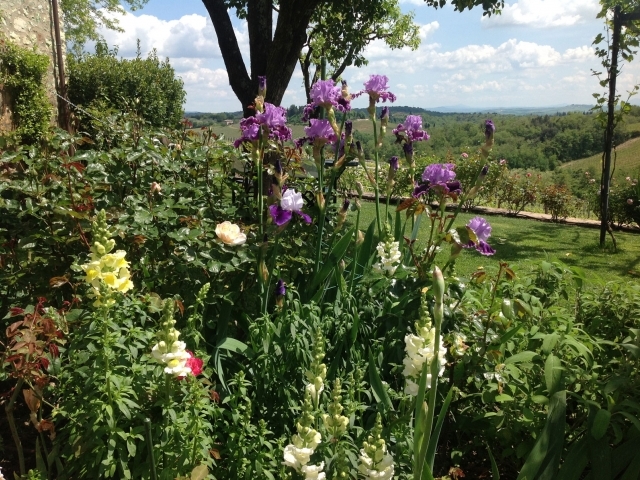 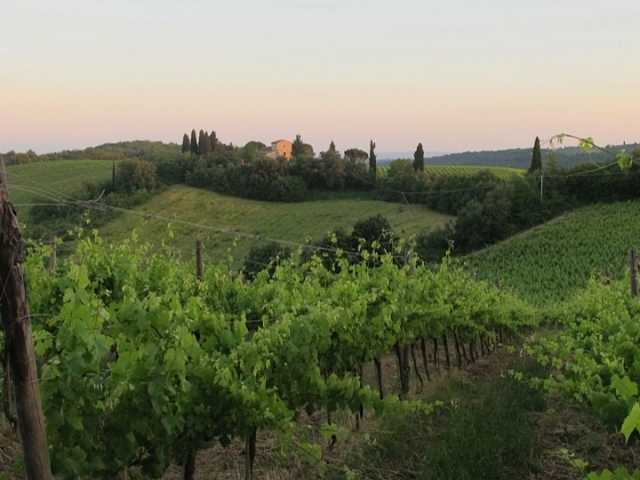 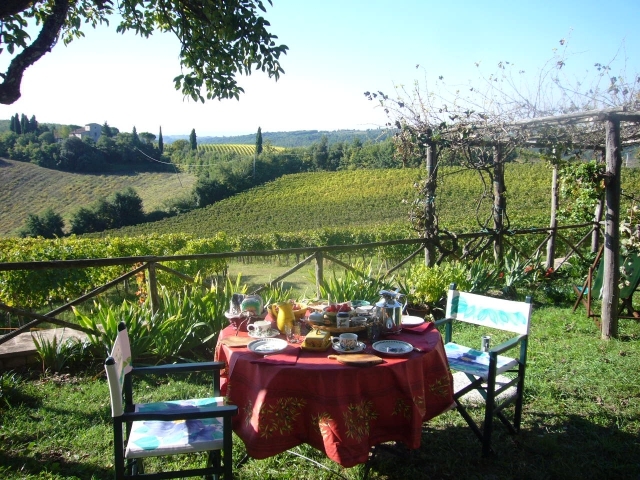 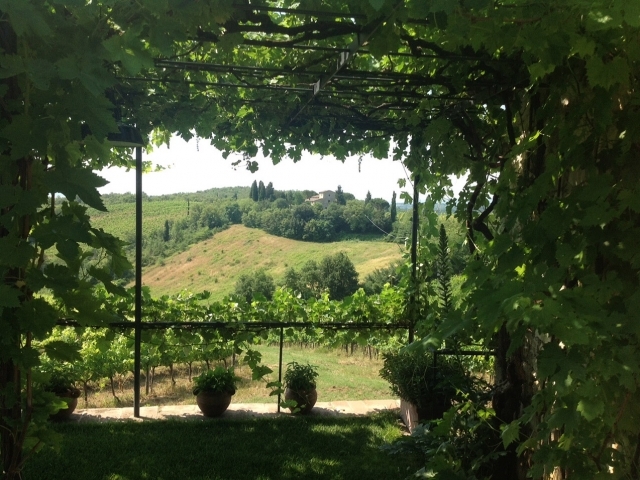 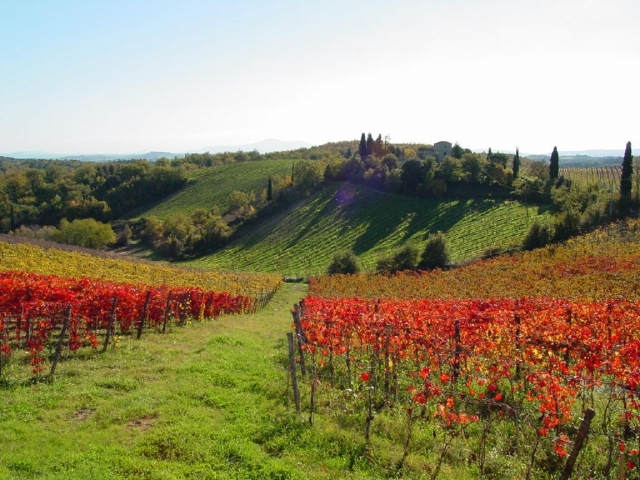 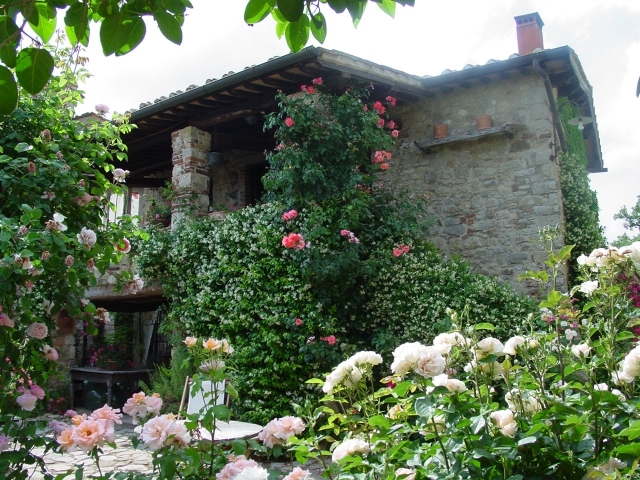 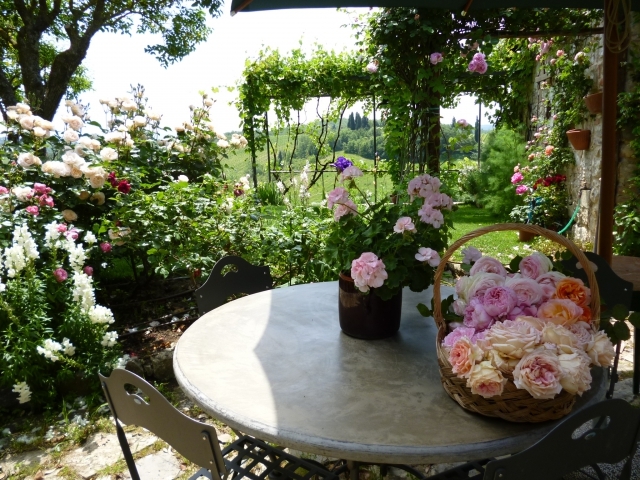 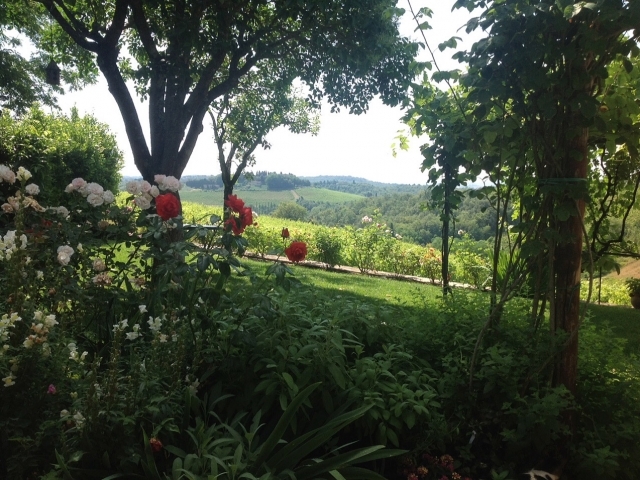 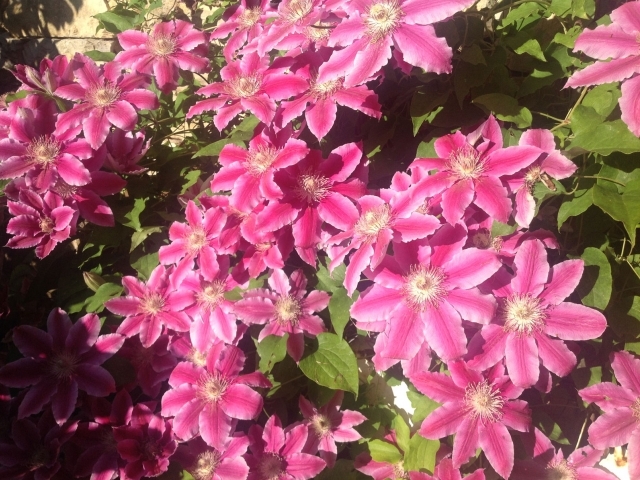 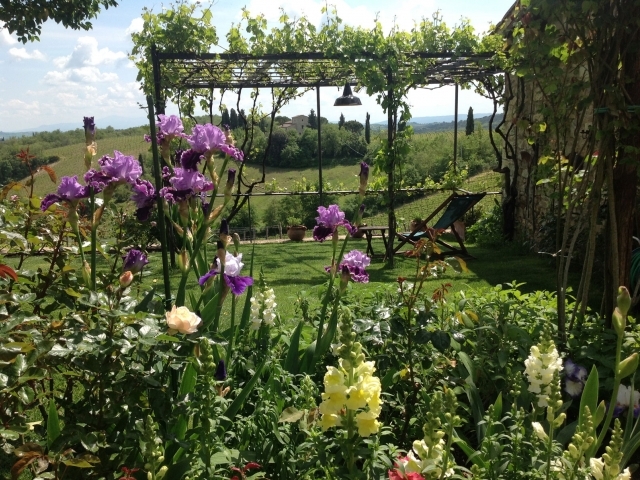 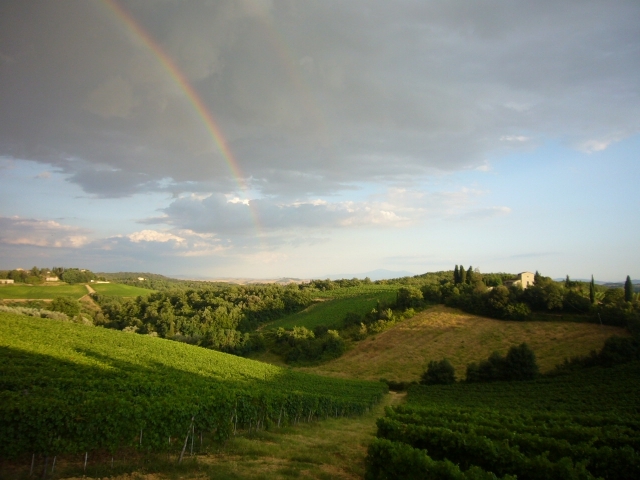 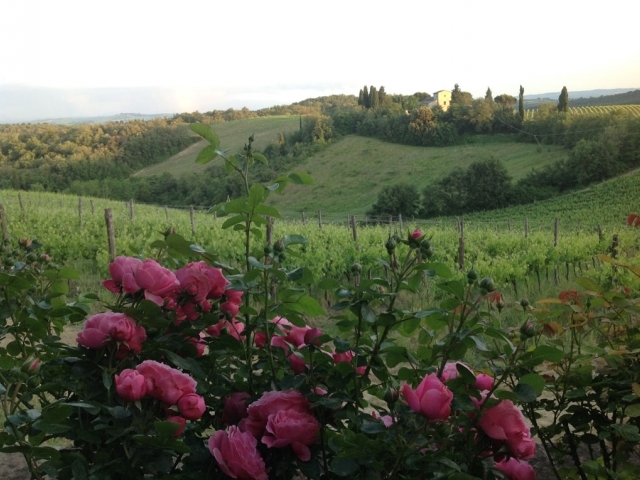 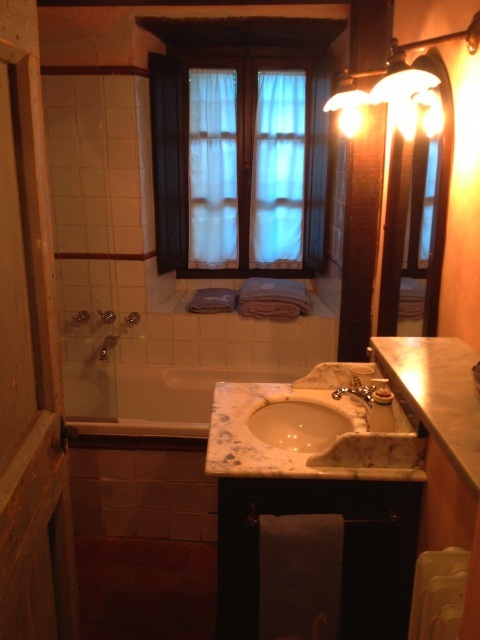 Only 12 km from historic Siena, the house offers all the beauty and fascination of being in Chianti. 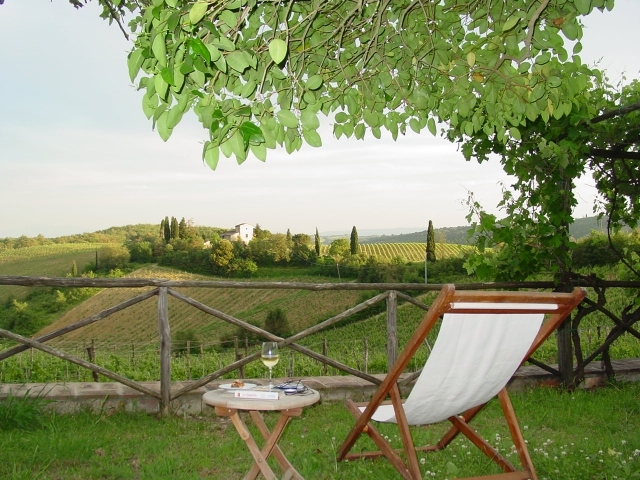 The view from the courtyard opens up towards the vineyards and the gently sloping hills, with castles, hamlets and farmhouses all around. 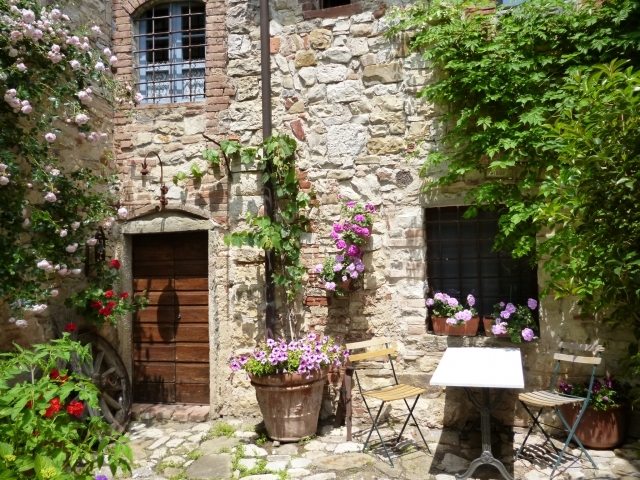 The courtyard itself still presents the old setup, with its farming tools and the old chart full of demijohns, decorated with a display of pots of flowers. 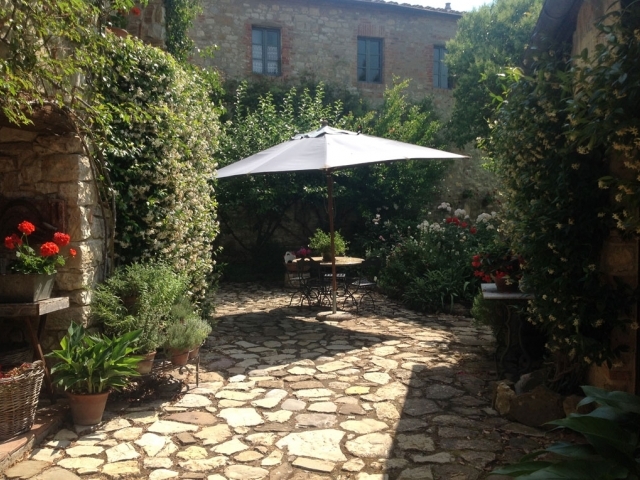 The wine cellar at one corner of the courtyard will be open on request for a visit and enjoy its special atmosphere. 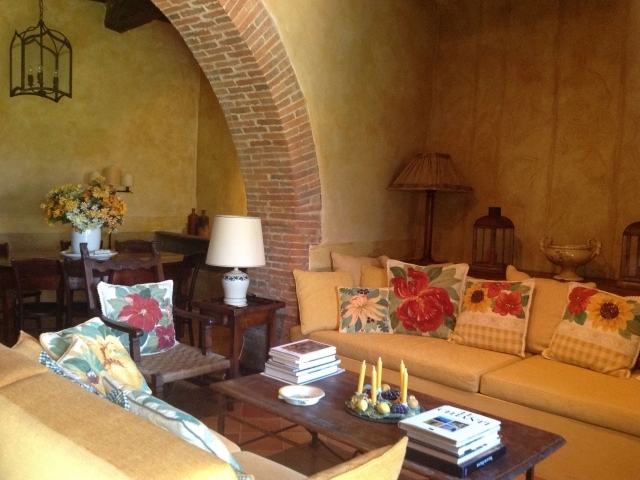 The exclusive apartment, located at groundfloor, is a small jewel of country style, decorated with antiques and hand painted fabrics. 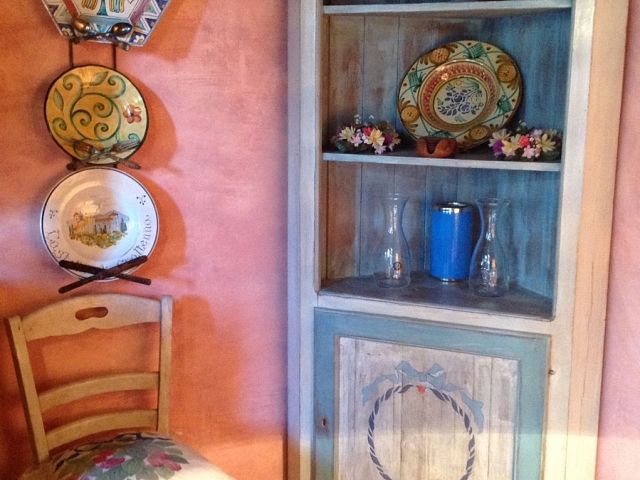 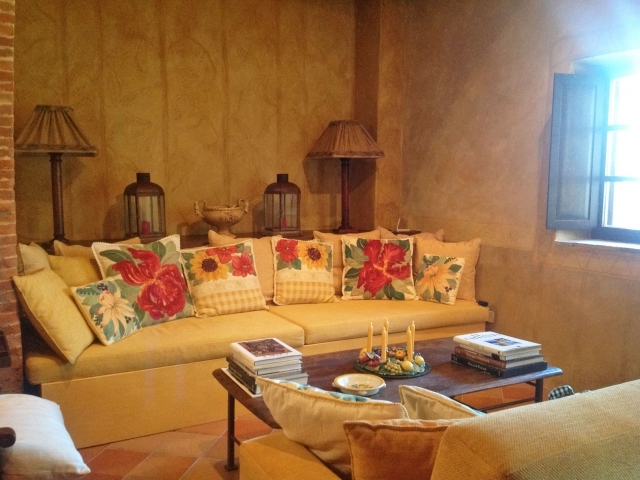 It carries all the fine touches of a classic Tuscan home, with color washed walls that armoniously blend Julia’s hand painted fabrics. 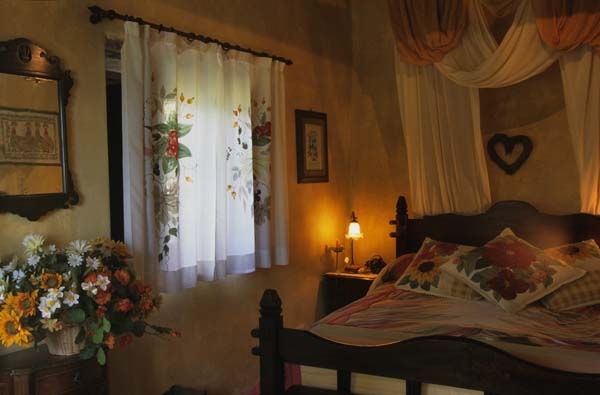 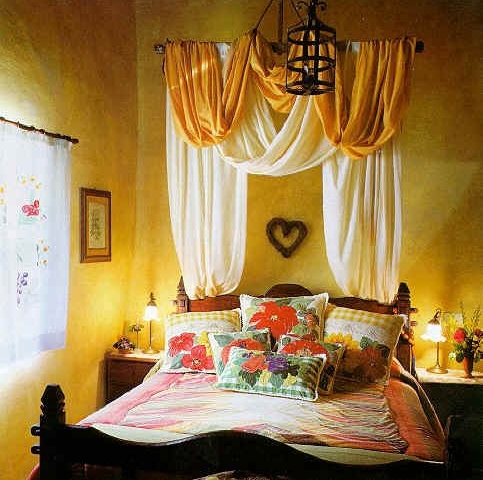 The bedroom is decorated with themes of the natural surroundings: hand painted flowers, grapes and berries on curtains and pillows reflect the nature of Chianti. 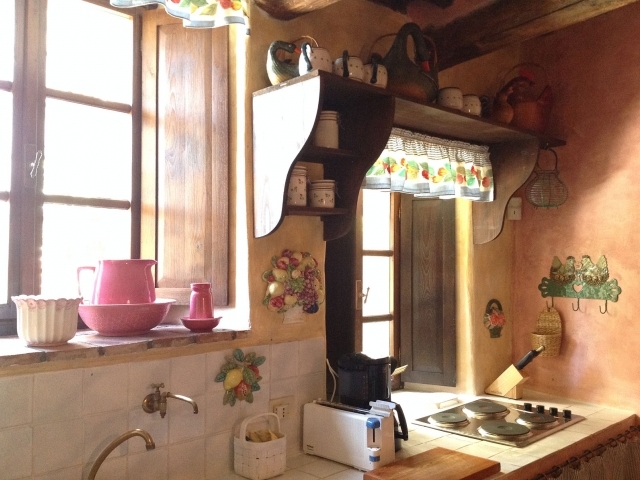 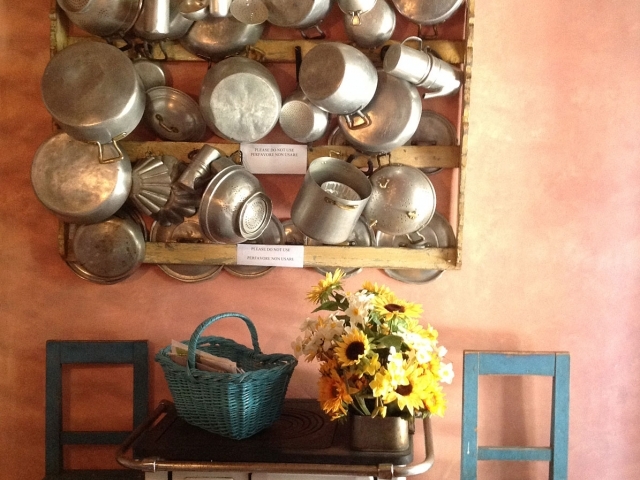 The kitchen with its wonderful collection of antique pots and its hand painted furniture convey a feeling of warmth: a large stove and oven allow cooking lovers to enjoy the pleasure of experimenting with local recipes. 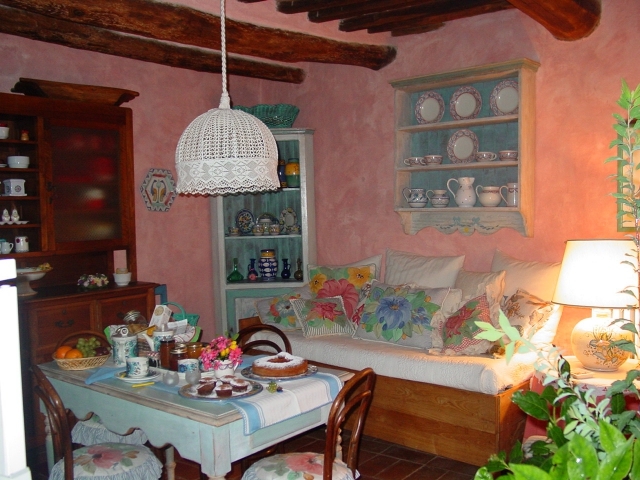 Guests will be welcome to visit anytime Julia Design Studio and discuss with her interior design and restauration projects.